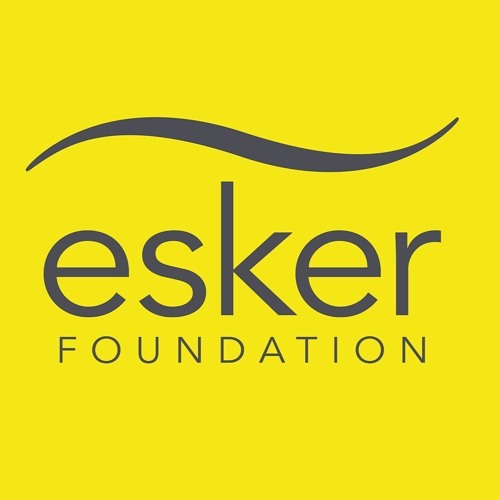 Esker Foundation is a privately funded contemporary art gallery located in Calgary, Alberta. Esker Foundation connects the public to contemporary art through relevant, accessible, and educational exhibitions, programs, and publications. Esker Foundation reflects on current developments in local, regional, and international culture; creates opportunities for public dialogue; and supports the production of ground-breaking new work, ideas, and research. Founded in 2012 by Jim and Susan Hill, Esker Foundation is a new model for institutional relevance, curatorial focus, and audience engagement. Admission is free.